President Trump promised to end the war on coal and put its miners back to work. 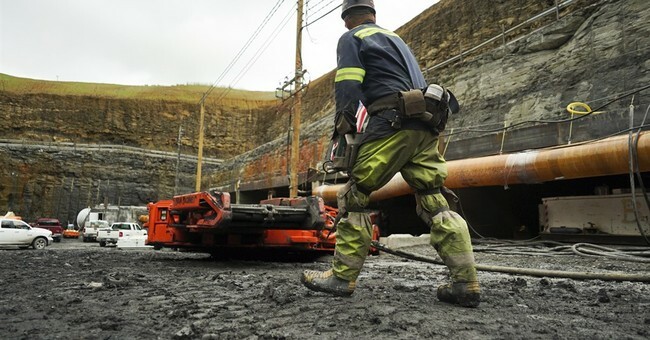 In Pennsylvania, Corsal Coal Company has opened a new mine in Somerset County, which is outside of Pittsburgh. It’s the first new mine in years. Fox News reported that 70 jobs were created with this mine opening, although 400 applications were submitted. George Dethlefsen, the CEO of Corsa Coal, added that they’re selling coal for $150/ton, which is double from what it was a year ago. He said that the loosening of government regulations, along with coal being less stigmatized now that Trump is president also helps. “Coal is no longer a four-letter word,” he said. Betty Rhodes, who operates a local diner, admits that one new mine won’t revive the local economy, especially ones where coal was the primary economic engine. Those were gutted under the Obama administration’s war on coal. She said in its heyday, more than 700 guys would be working in the area, visiting her diner to grab coffee and food to go for their respective shifts. Then, it all dried up. CNS News reported that mining saw its first profitable quarter in two years. In Hazard, Kentucky, coal miners began heading back to work in March. One miner, Carlos Sturdill, told Fox News, “I’m glad to be working. I’m thankful I’ve got a job again.” We still have a ways to go. 300 miners have been re-hired since Trump took office, but over 36,000 were laid off during the Obama presidency. Still, it’s a step in the right direction. Even Democratic Gov. Tom Wolf agreed. “It’s creating a lot of jobs in a part of Pennsylvania that really needs jobs—good family, sustaining jobs,” he said.